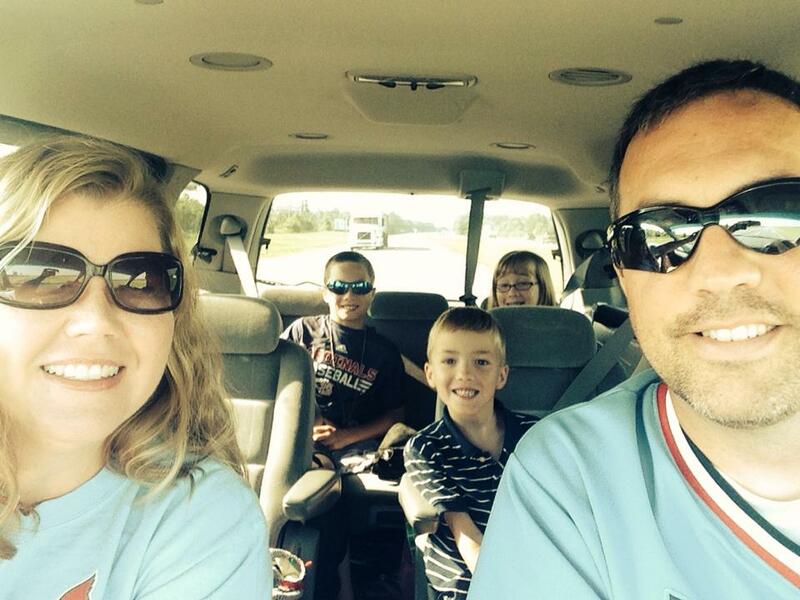 The Bybee Family Road Trip is underway! 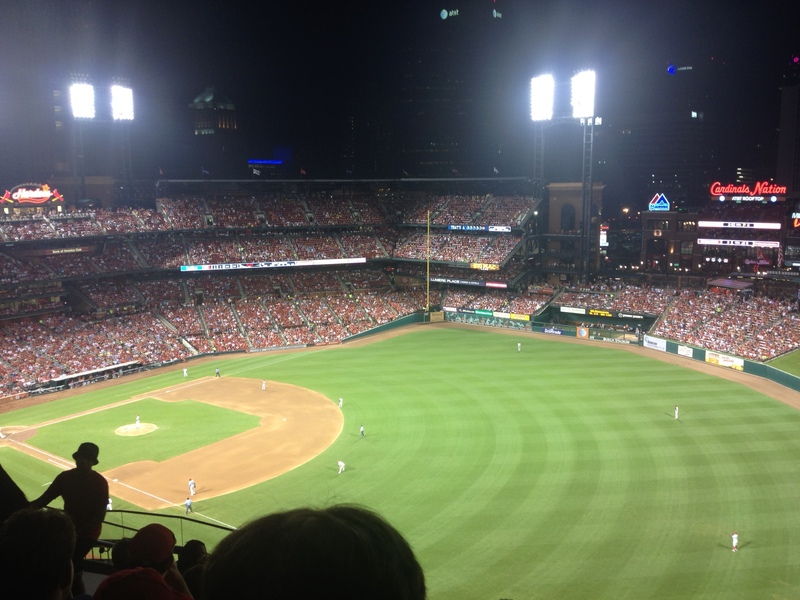 Over the years, I’ve probably been to over 50 Cardinal games here in St. Louis. It’s really one of my favorite places to visit and I love sharing this with Sunny and the kids. I’m really fortunate to have a wife who loves baseball nearly as much as I do! Back in our Lipscomb days, it was so much fun to introduce Sunny to Cardinal baseball during the McGwire era. Although she grew up a Braves fan, she quickly converted once we got serious and she’s never looked back. The only thing cooler is getting to share this experience with the kids now. On the ride, we had the chance to educate the kids a bit about the Beatles. Sunny explained to Jackson why a few of their songs are so meaningful to us. One of the little discussed joys of parenting is sharing music and memories with your kids. Such fun. Speaking of music, my kids love Aloe Blacc’s “The Man.” The boys go around singing, “I’m the man, I’m the man, I’m the man…” which is pretty hilarious! The Cardinals’ new Ballpark Village outside Busch Stadium is really incredible. This is the first time we’ve been here since it opened this spring. Really nice. Post-game public displays of drunkenness can lead to the most interesting theological conversations. Even with 7 year olds. Today my kids — particularly Jackson — mentioned Sunny’s Dad several times. Coming up on the one-year anniversary of his passing, I think it’s really cool that they still speak of him and think of him. He was and is very much a part of their lives, gone but never forgotten. 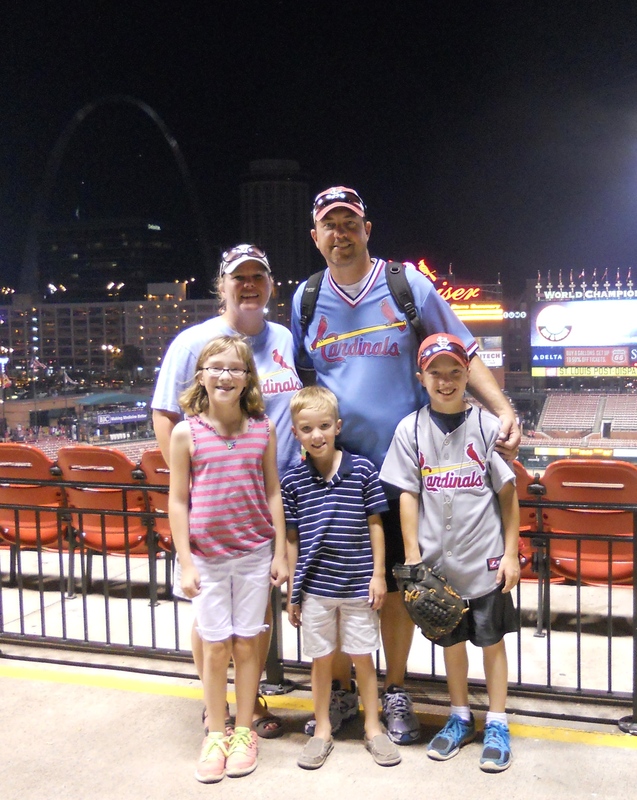 This entry was posted in Baseball, Blessings, Family, Kids, Sports, St. Louis Cardinals, Sunny. Bookmark the permalink. Next week we’re doing our family road trip to Boston to catch the Cubs/Red Sox game and then a stop into Cooperstown on the way back. Cub Den, that sounds like an awesome trip. Did Cooperstown a few years back, but I’d love to go again.